Download the SM PRO catalogue here ! The New SM Pro Platinum Rim is the strongest and lightest aftermarket rim available to date, 18 months in testing and development the SM Pro Platinum rim is made form a specially formulated high grade of 7050 Series Aluminium. The Platinum Rim has been designed, tested and manufactured to withstand the rigours and demands of today’s high performance motorcycles and riding styles, whilst reducing the weight of the rim to keep down the unsprung weight of the wheel. 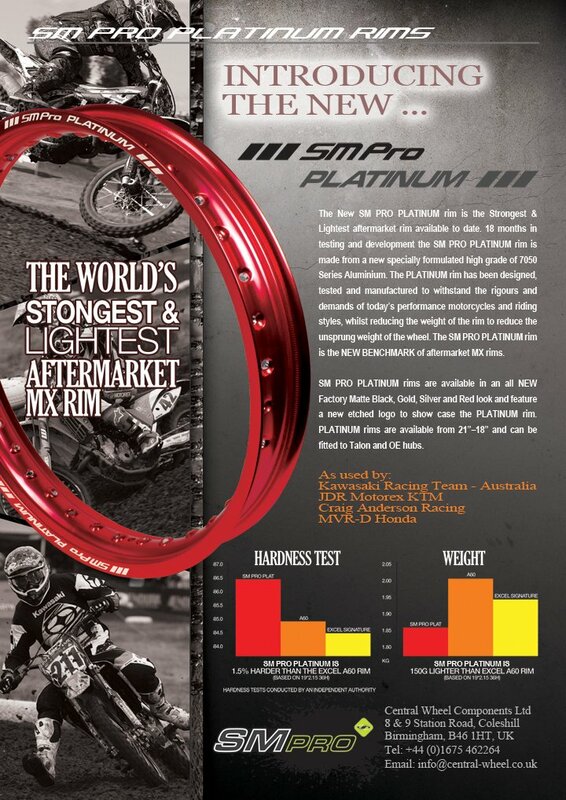 This combines to make the SM Pro platinum rim the New Benchmark for aftermarket MX rims.